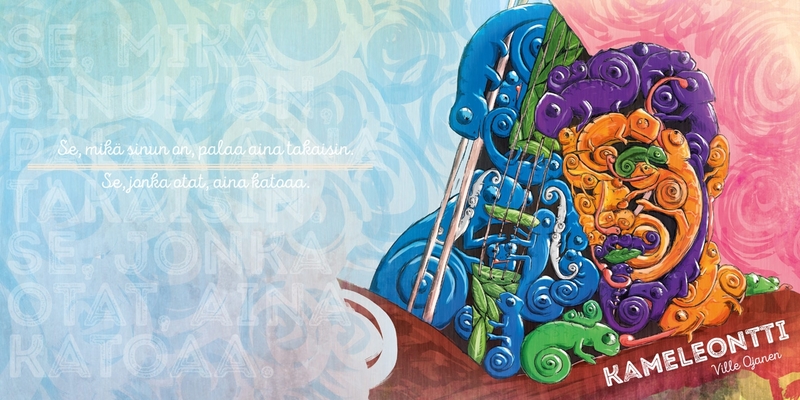 Artist and his main instrument created with colorful chameleons. Digital artwork with photoshop and layout design in illustrator / inDesign. 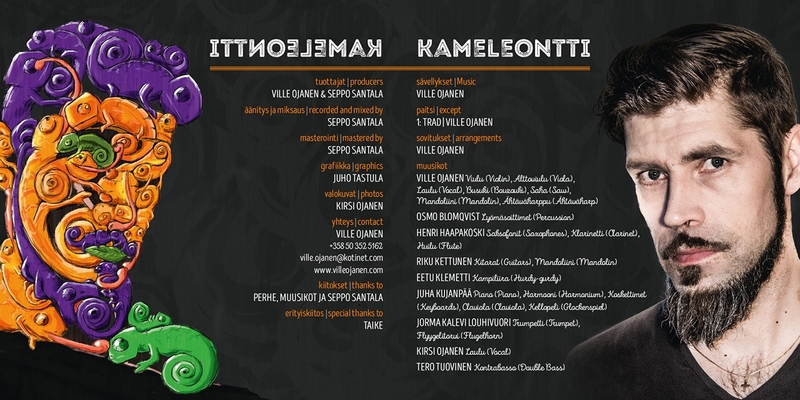 Client is finnish musician Ville Ojanen. 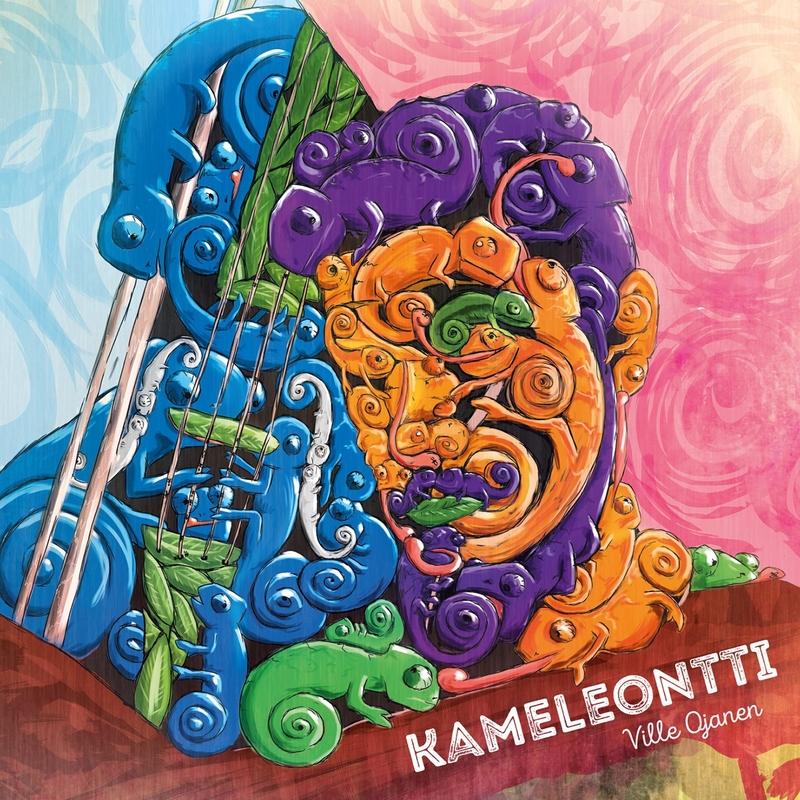 Album is called “Kameleontti” (Chameleon) and came out on spring 2016.